San Galgano and the Sword in the stone. The British legend of King Arthur and his famous Sword in the Stone are known all over the world. But few people know that you can find the same grandeur of Matter in the British in the province of Siena, to be more precise in Chiusdino. Right here, surrounded by Valley of Merse river, there are the ancient Cistercian Abbey of San Galgano and the chapel, which houses the famous sword that Saint Galgan dug into the rock as a sign of abandonment of worldly life to devote himself to prayer and meditation. 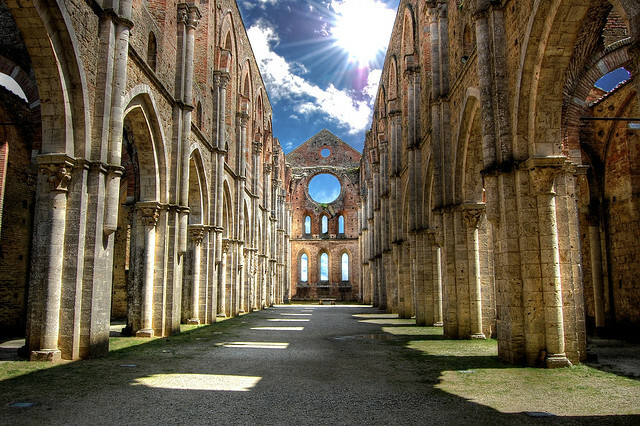 The story of San Galgano is shrouded in mystery and it has been the subject of several rewrites. The most accepted story is that of a young man named Galgano Guidotti, born into an aristocratic family of Chiusdino. After a dissolute youth dedicated to luxury, Galgano converted himself after seeing the Archangel Michael in a dream that predicted his conversion. The hermit built a hermitage in Monte Siepi where he lived until his death at the age of thirty-three years. The chapel, which houses the tomb of San Galgano, is also called La Rotonda ( the Rotunda) because of its circular shape and the presence of a hemispherical dome in alternating bands of color. Inside visitors remain fascinated by the alternation of concentric circles of bricks and travertine and the precious frescos of Ambrogio Lorenzetti. 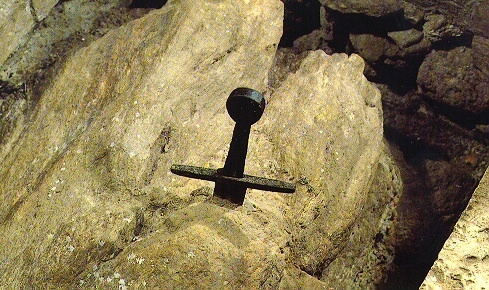 Here it is kept the famous sword embedded in a rock which forms a cross with the stump outside. Several historical reconstructions have found that the sword is from twelfth century. It was also found that the rock was not hollow inside to allow the easy insertion of the sword, but the blade seems to have perfectly past the stone. Near the chapel there is the Cistercian Abbey of San Galgano, of Romanesque style with Latin cross. It was built around 1218 and after a period of splendor, was abandoned by the few monks who lived there because of the plague of the sixteenth century. He was later robbed and fell into disrepair. Today it is lacking of the floor and the roof, and it is located in a charming and mysterious area. However the Abbey of San Galgano is a tourist and cultural destination as well as a place of leisure. 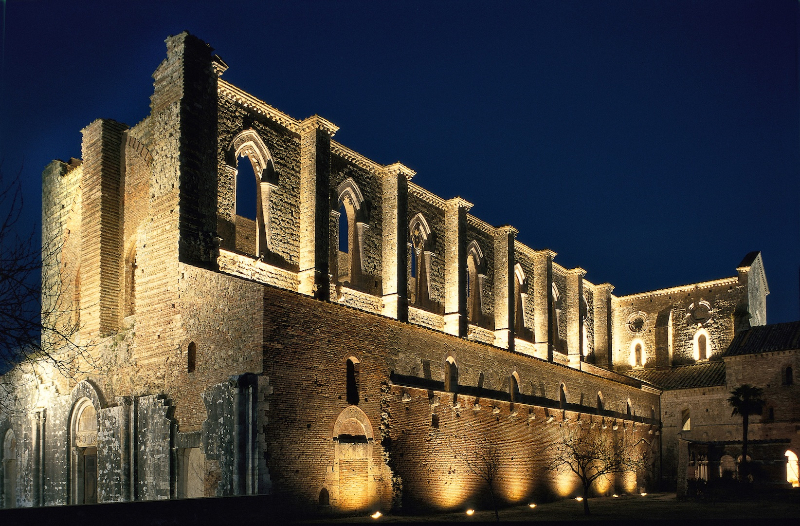 Every year is held in the month of July, the Festival of San Galgano, a series of classical and light music with famous orchestra, and rockbands from all over the world. If you are coming to Tuscany to not miss to visit this magical place. Hotel Borgo Grondaie is located in Siena which is only 30 kms away from San Galgano. A nice daytrip to Val di Merse discovering castles, villages and tasting good food in the local osterie.